I look through the microsoft documentation this and this but seems like its more for applications, but I'm just creating a workflow and plan to use on sharepoint online, do I have to gone through all that? 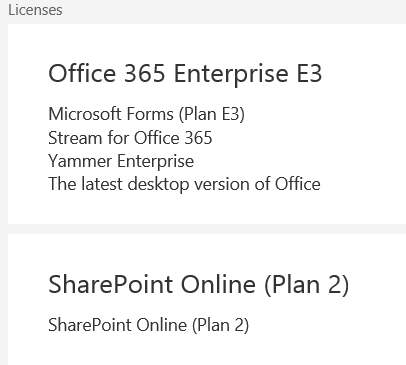 I'm using Office 365 Enterprise E3, Microsoft Flow is being included. I also look through other articles, some mention that user might need to migrated to Office 365. I'm already using office 365 outlook. Or am I just looking at the wrong articles? This is my first time creating a workflow, appreciate if could provide me some articles to read and understand what's going on. Thanks in advance. There's a problem with your mailbox. Either it's not a valid Office 365 mailbox it it does not have the appropriate license. Not the answer you're looking for? Browse other questions tagged sharepoint-online workflow sharepoint-rest-api microsoft-flow or ask your own question. (When) does SharePoint Online in Office 365 use the Microsoft Upload Center?